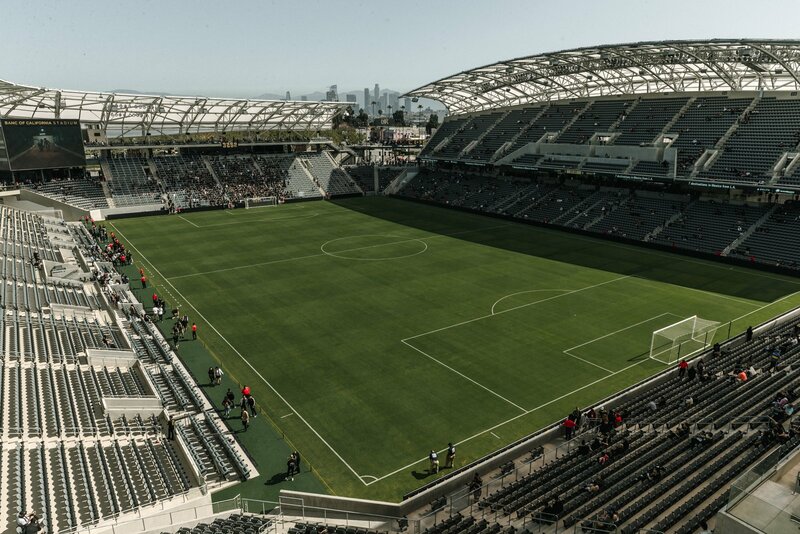 Some say that it's the first open-air stadium built in Los Angeles since 1962, which is obviously aimed at derby rivals LA Galaxy, whose stadium is in Carson, technically outside the city. 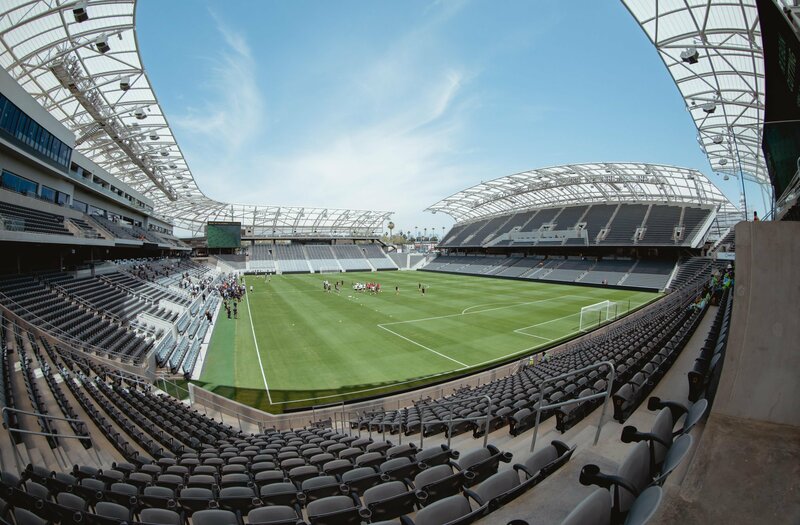 It took only 20 months to deliver the ground, also considered to be one of the most central sports venues in Los Angeles. Erected in the distinguished Exposition Park, the stadium sits just meters away from the L.A. Memorial Coliseum, becoming instantly sanctified by the history of this unique Olympic site, home to the 1932, 1984 and 2028 Olympics, during the latter of which Banc of California Stadium will also be a host venue. 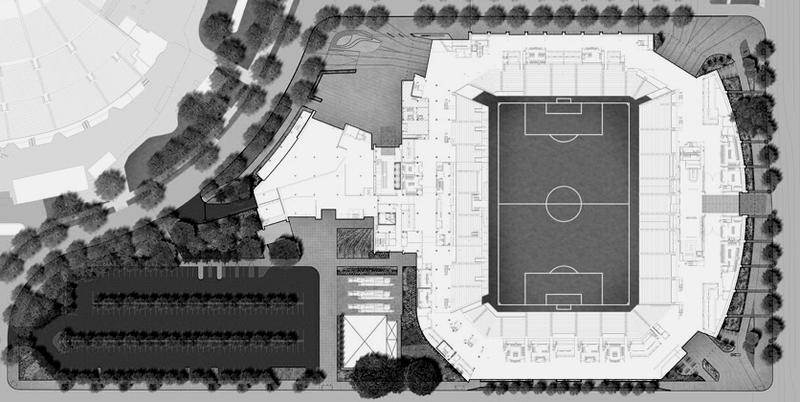 Though built for an immense sum from a European or indeed global perspective, the stadium isn't particularly imposing, which is exactly as planned. Built in a symbolic site of Los Angeles, replacing the Memorial Sports Arena, it had to fit in terms of scale. The field of play was thus sunken 6.7 meters into the ground, which also facilitates crowd circulation as fans enter lower ring of the stands from street level. The auditorium is planned for 22,000 people, though there is an option of temporary expansion by addition of foyer seats. Also, for events using the field, a maximum of 35,000-40,000 is expected. The front row of the stands is pushed as close as possible, at the nearest point reaching just 3.7m from the players. 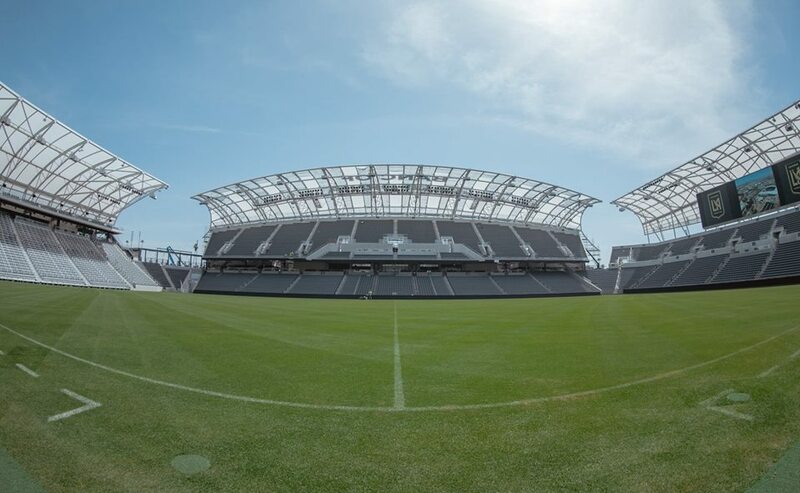 The furthest a fan can seat is 41 meters away, which means everyone has a good and unobstructed view of the field. 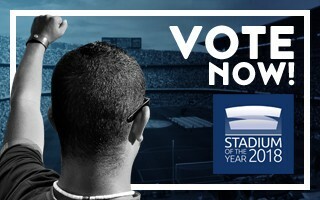 For corporate customers the offer is specifically wide, starting with field-level armchairs, through vast clubs and lounges, through 22 private boxes with retractable glass front, to business clubs on top of the north and west stands, each with a unique feature like a view of the sunset or even a swimming pool. In turn, the northern cheapest seats for vocal fans represent completely different features. At 34º it has the steepest rake across MLS and is equipped with rails in order to facilitate constant standing. 3,252 fans can be seated or, actually, standing in the area. Even if it would have been seen as an oddity 15 years earlier, the stadium provides almost complete cover of all seats. The canopy is lightweight and based on slender long-span cantilevers. 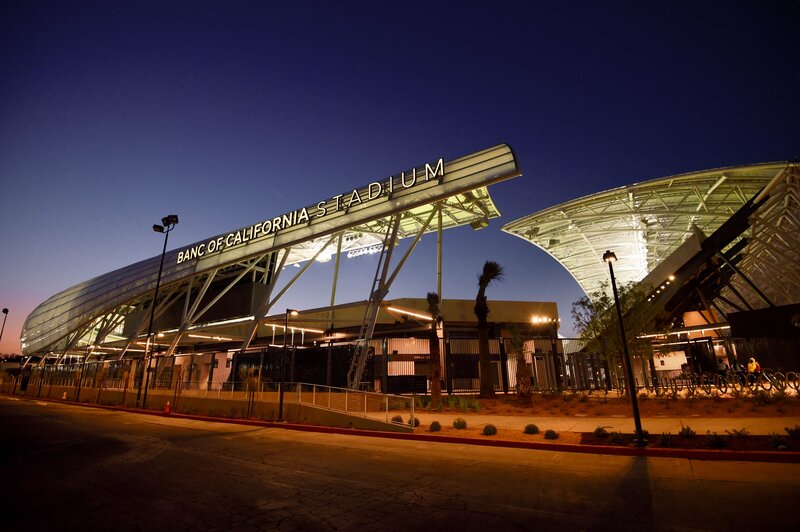 In total only 2,300 tons of steel was used in the construction of this stadium, both to support the upper stands and to provide shade. 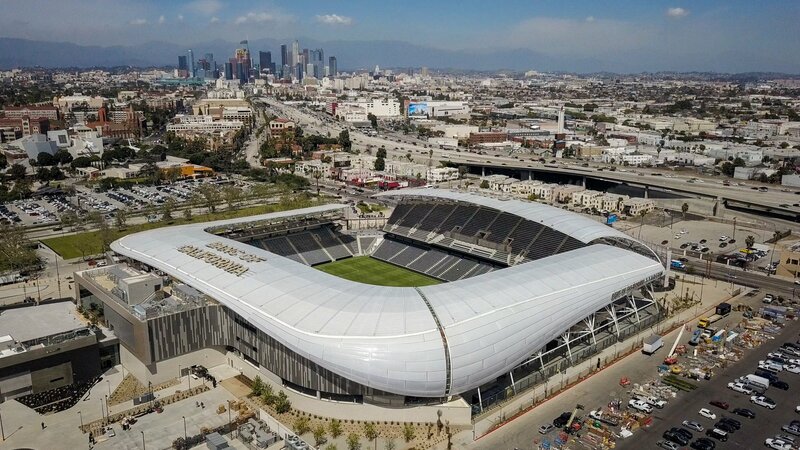 The roof consists of 17,600 m2 of ETFE. With no opaque facades and two empty corners the stadium provides good ventilation and offers some fans a view of the skyline. Even before groundbreaking it was intended to be eco-friendly, aiming for (and receiving) the LEED silver certificate. This is owed to energy efficiency, rainwater harvesting, green spaces around and ecologic transport solutions (440 bicycle parking spaces, 5% parking places with EV charging stations, plus emphasis on public transport). 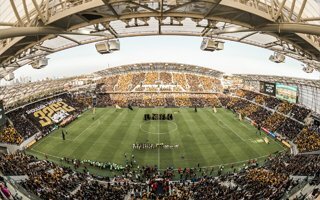 With the budget at immense $350 million, the stadium was financed entirely privately. 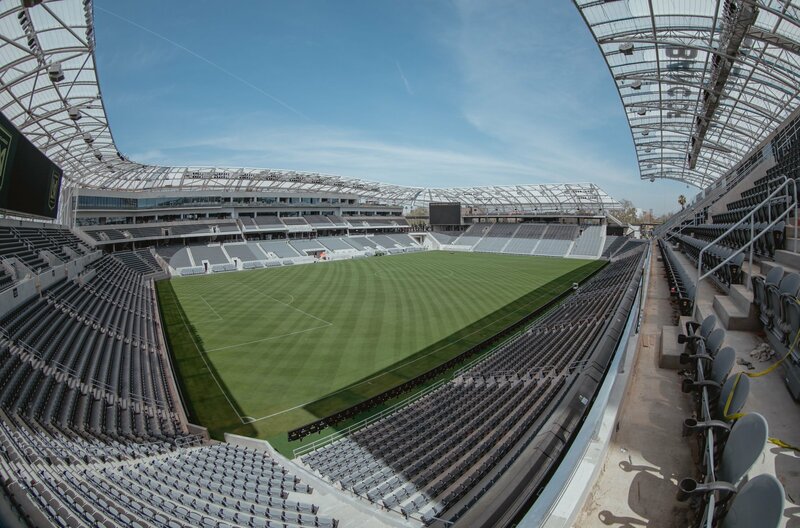 Banc of California played a very notable role by securing significant part of the $180 million loan and signing the $100-million 15-year naming rights deal.